The Second Vatican Council endorsed autonomy in “Gaudium et Spes,” its Pastoral Constitution on the Church in the Modern World, when it defines that “created things and societies themselves enjoy their own laws and values which must be gradually deciphered, put to use and regulated by men,” Cardinal O’Malley said. Cardinal O’Malley made his remarks at a conference, “Erroneous Autonomy: The Dignity of Work,” Jan. 10 at The Catholic University of America that was co-sponsored by the university’s Institute of Policy Research and Catholic Studies and the AFL-CIO. As a young Capuchin priest in Washington, Cardinal O’Malley said, he heard many tales of grief from immigrants in the nation’s capital. He recalled the situation of a domestic worker for a diplomat who not only harassed and abused her, but withheld her pay — and her passport, so she could not get another job. “Because he had diplomatic immunity, there was nothing we could do,” he said. The saint’s words carry over to the Vatican’s current inhabitant, Pope Francis. “In his words and actions, Pope Francis has been a strong public advocate for the dignity of labor, including making interventions when companies were intending significant elimination of jobs. 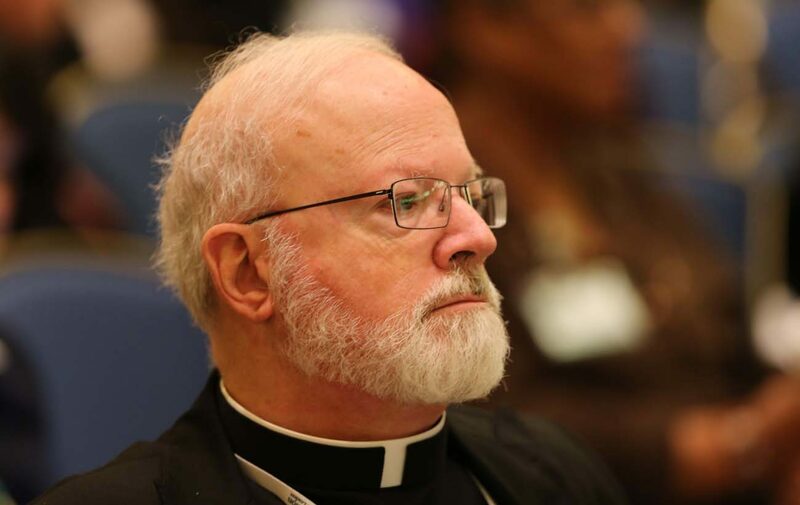 He has argued strongly that in the midst of the forces of technology and globalization, people cannot be reduced to arguments for greater efficiency,” Cardinal O’Malley said. He identified three such manifestations as “the sovereignty of markets,” “the technocratic paradigm” and nationalism. “The point of this conference is to dissect ‘erroneous autonomy,’ and I’ve spent a big part of my career doing just that,” said author and social analyst Thomas Frank, best known for his book “What’s the Matter With Kansas?” in dissecting the nature of Donald Trump’s win over Hillary Clinton in November. “I admit it’s been a lot of fun poking holes in the things conservatives say. These guys blow off the facts when they feel like it, they swipe symbols from the other side, they illustrate arguments on economics with fairy tales. They will say anything. The reasoning you hear on their favorite radio shows seems like something from a brainwashing session at Lubyanka prison. It is preposterous. It is contemptible. “But you know what it’s better than?” Frank said. “It’s better than nothing,” which he added was, in essence, the Democrats’ response to millions of Americans who felt left behind in the recovery from the 2007-2009 Great Recession.